Practice makes perfect: this is true of many things, but particularly so when attempting to read old handwriting. Palaeography skills develop with greater exposure and even experts will tell you that their ability to decipher a particular hand improves with acquaintance. 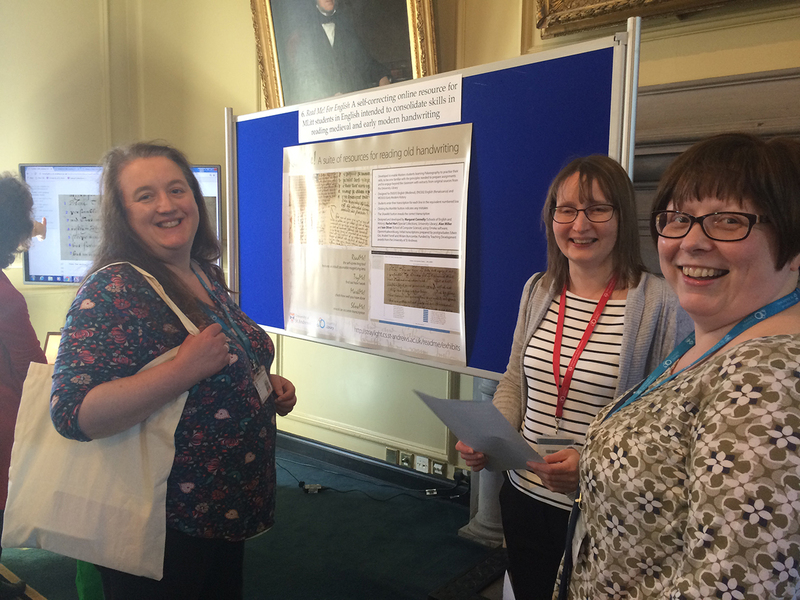 Students who take the medieval and early modern MLitt programmes in English and History study palaeography as part of their course because they are likely to have to read original handwritten sources as part of their research. But getting opportunities to practise this new skill can be a challenge when class time is relatively short. ReadMe! is a digital resource developed by Margaret Connolly and Rachel Hart to give students the opportunity to follow up on their classroom experience. Once students have encountered an original manuscript and have had some initial instruction in reading it they are then able to continue practising reading the same hand away from the classroom by using the resource. ReadMe! offers an online exercise using a different sample from the same text, and students can work on this in their own time as homework. Left: Sharon has a go! Right: The Director of Library Services tries his hand! The ReadMe! 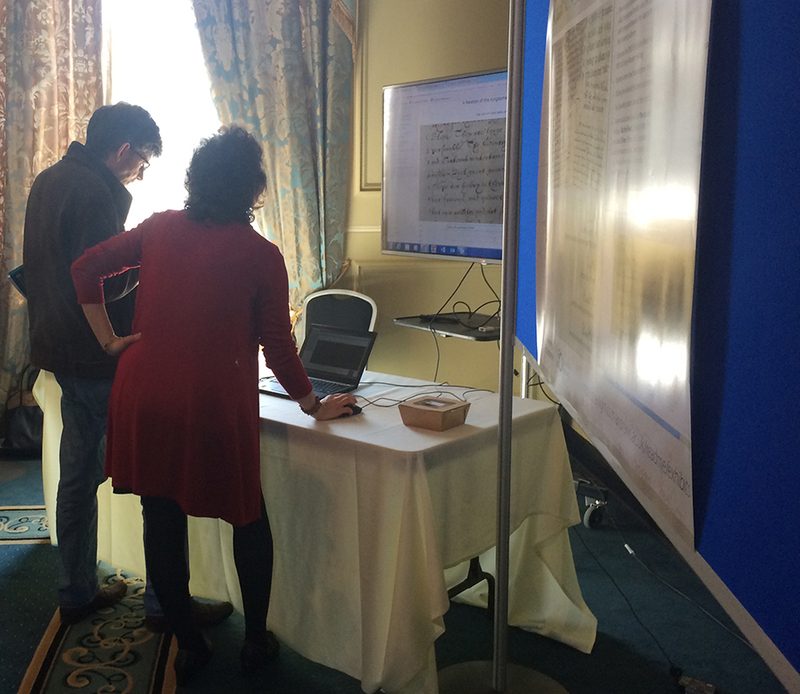 resource incorporates digital images of key manuscripts held in the University Library. These have been carefully chosen to provide good examples of characteristic styles of handwriting from the medieval to the early modern periods. Short extracts are made available along with model transcriptions. Students enter their own transcriptions one line at a time. Clicking the MarkMe! button indicates the presence of mistakes. Anything that is flagged in red needs to be checked again. Students can amend their transcriptions and click MarkMe! as many times as they wish. When satisfied (or defeated! ), they can click the ShowMe! button to reveal the correct transcription. This means that by using the resource students are able to get extra practice and instant feedback: in effect they can mark and correct their own work. The ReadMe! tool features an inbuilt zoomable magnifying lens that allows individual words and even letters to be enlarged; individual pen-strokes can be studied, which really helps the task of transcription. This new digital resource is now part of three modules: EN5015 English (Medieval), EN5302 English (Renaissance) and MO5033 Early Modern History. 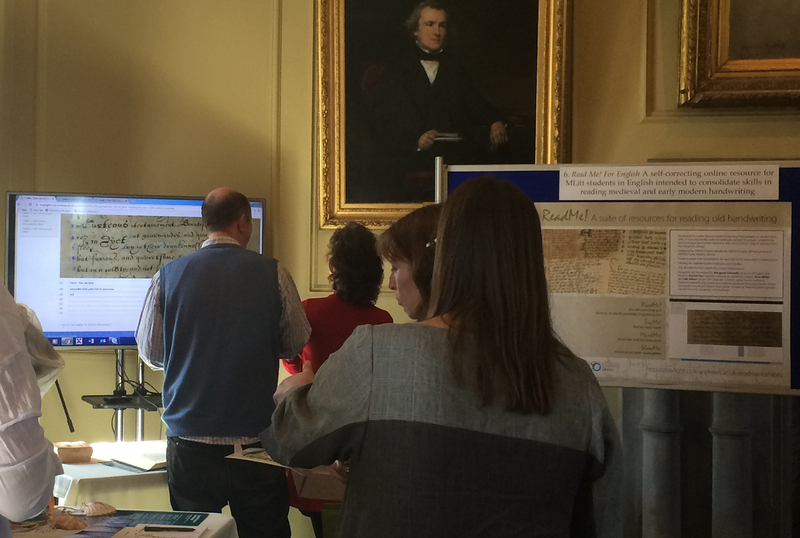 It builds on the key features of learning palaeography at St Andrews. 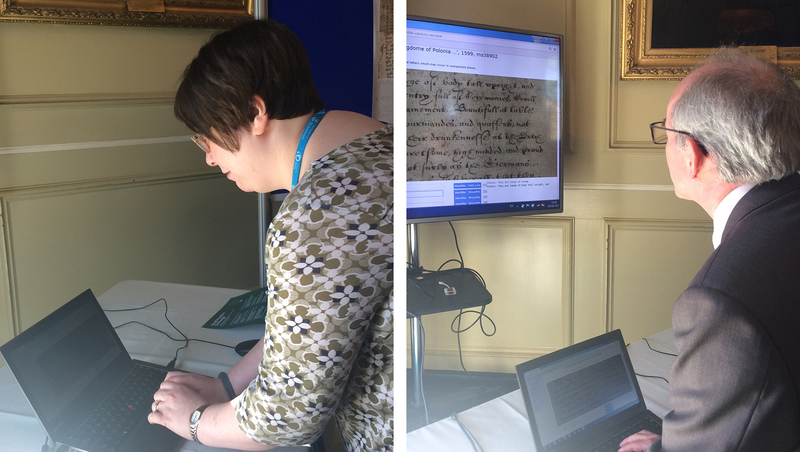 All our palaeography teaching is intensively source-based, and those sources are produced in the classroom so that there are original materials present throughout. 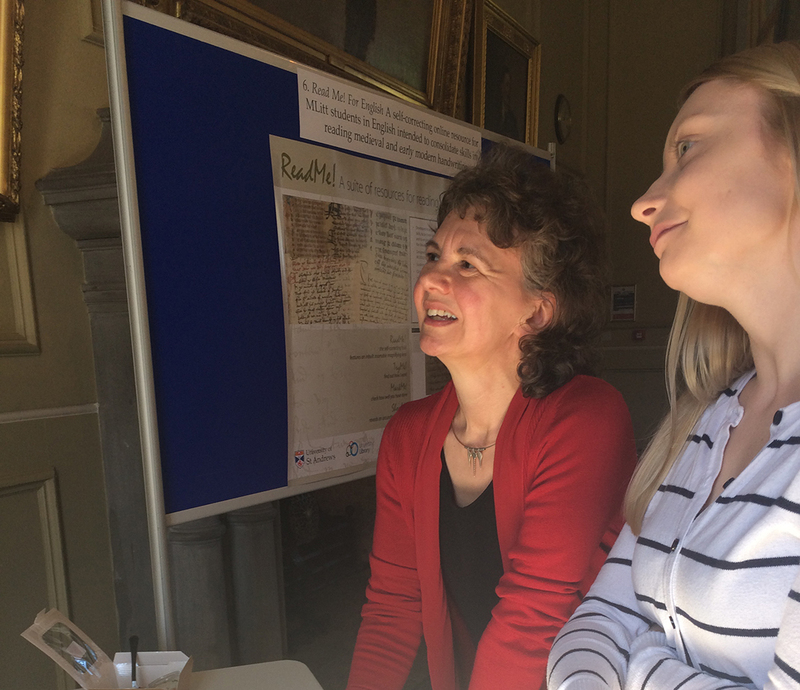 Classes are led jointly by Dr Margaret Connolly of the School of English and the Institute of Mediaeval Studies, and Mrs Rachel Hart, Keeper of Manuscripts and Muniments in the University Library. This combination gives students the benefit of the different perspectives of the academic and the curator; classes frequently involve lively discussions and disagreement – deciphering and describing old handwriting can be a matter of fine interpretation and debate. ReadMe! 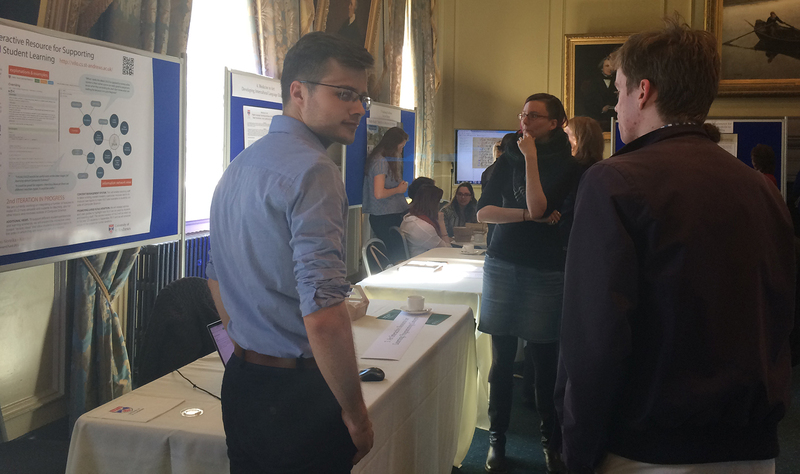 is an interdisciplinary project developed by the Schools of English and Computer Science and the Library’s Special Collections (Margaret Connolly, Rachel Hart, Alan Miller and Iain Oliver) with financial support from the Teaching Development Fund. The Open Source, web-based format means that this tool can be freely accessed. We also have instructions from our CompSci colleagues which will allow other images and transcriptions to be uploaded into xml. ReadMe! 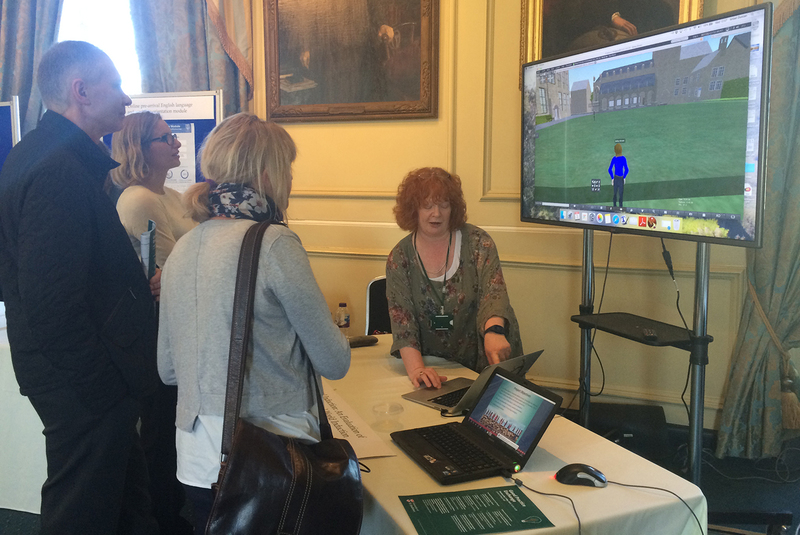 was showcased at the University’s Good Practice Exchange on 3 May 2017 along with other Teaching Development and Enhancement Theme projects which were shared with the university community. 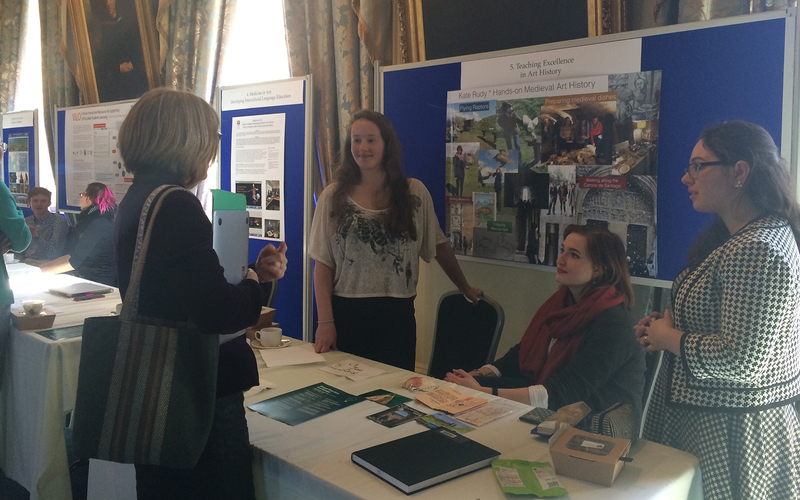 Please visit the website at http://straylight.cs.st-andrews.ac.uk/readme/exhibits and have a play with the resource. We would be delighted to have feedback and if anyone would like to try out the instructions for uploading their own documents and transcriptions, please do get in touch with Special Collections! 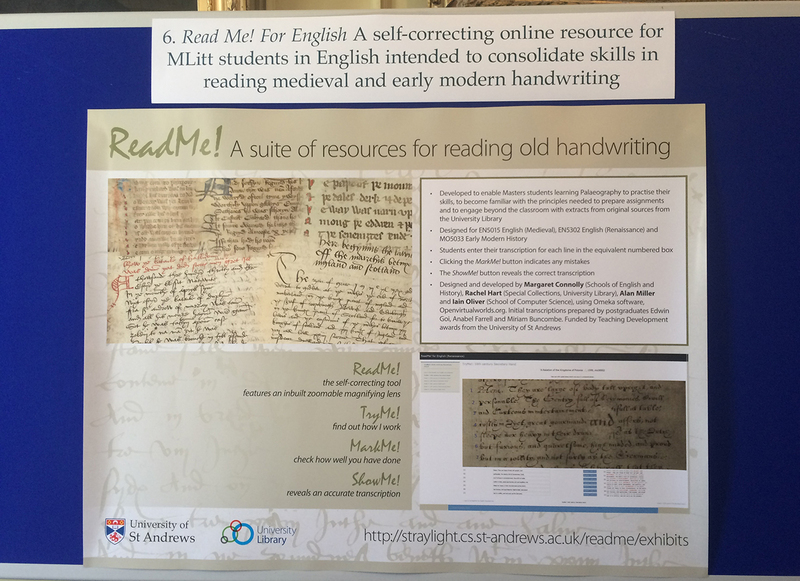 Tags: digital resource, handwriting, learning tools, Palaeography, ReadMe!